After five hours of play on the final day it was Canadian Jason Lavallee who hoisted the PokerStars.com EPT London High Roller trophy and picked up a cheque worth £357,700! The third day of play started with 12 players but it soon became clear that there was only one player destined to walk away with the aforementioned trophy, cash prize and a Slyde watch. It was Lavallee's day today and nobody, not even David 'Devilfish' Ulliott himself, had the chips, cards or aggression to push the former EPT San Remo runner up around. During the very first hand of play Lavallee raised under the gun and Frederik Jensen moved all in followed by a shove from Mark Teltscher. 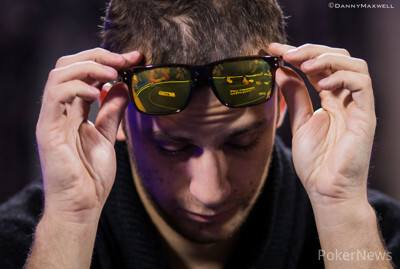 Lavallee sighed and folded, but this was just one of the few hands he actually did not win. Jensen managed to crack Teltscher's aces on that first hand, but the Dane was still one of the first to go when he ran into Ulliott's aces. The first player that was knocked out on the day that started with 12 players was Ariel Celestino. Celestino moved all in with queen-four and ran into Sorel Mizzi's ace-four. The board brought no help for Celestino who walked away with £26,155. A few minutes after Celestino busted it was Antonio Lafosse who ended up all in with ace-ten suited versus Team PokerStars Pro Luca Pagano's king-queen. The board brought a king and Lafosse was knocked out and he picked up a £30,005 pay day. Like we stated before, Jensen was knocked out quickly too when he ran into aces again. 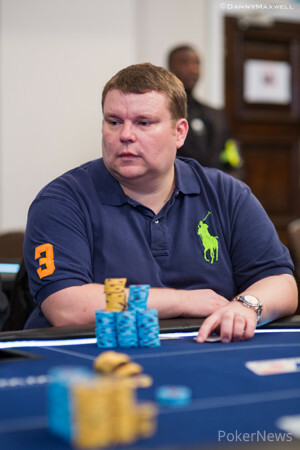 The Danish former EPT Madrid winner held pocket queens but Ulliott's hand held up. Jensen finished in tenth which brought us to a final table of nine. 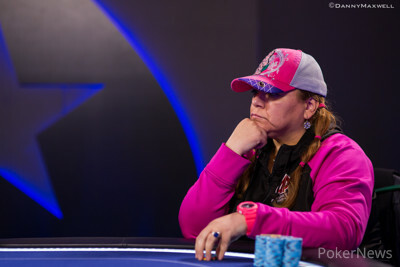 At the final table it was Mizzi who held a slight chip leader over Carla Sabini who started the day out on top. Ulliott was in third place followed by a bunch of players all in the same range. 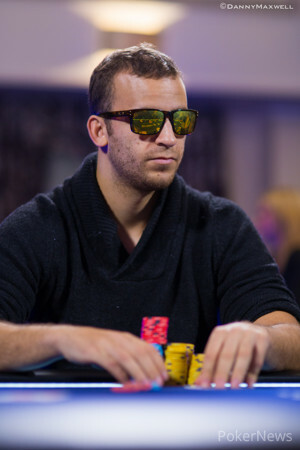 Last season's London High Roller winner, Talal Shakerchi, was the next player to get knocked out. First it was Pagano who ended up all in for his tournament life against Shakerchi and a chop seemed imminent when both players turned over ace-king. Pagno though had two diamonds and flopped a flush. On the next hand Shakerchi was knocked out by Mizzi and the Brit to took £35,695. At this point it was still anyone's game, but that all changed when Lavallee woke up with two black aces. Mizzi and Lavallee got all the chips in the middle and the former's queens went down without making its owner any money. Mizzi was crippled and Lavallee never looked back as he kept the chip lead from this point on. Mizzi doubled right back up after losing the huge pot against Lavallee and Teltscher was the next one who got knocked out. Teltscher ran king-queen into Lavallee's kings and walked away with £44,775. The EPT cashes and final table record holder busted out shortly after Teltscher left, as Pagano did not hit his open ended straight flush draw against Lavallee's two pair. The most epic hand at the final table went down when Mizzi moved all in from the button and Ulliott called from the small blind. Lavallee moved all in over the top and Ulliott tank-called with jacks. Lavallee held kings and knocked Ulliott out while Mizzi spiked an ace to triple up! 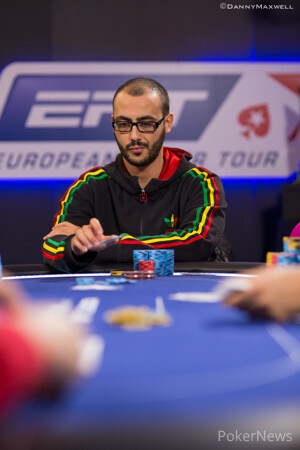 Tamer Kamel maneuvered his way to a fifth place finish as the former EPT London finalist was very short for most of the final table. Kamel finally busted when his ace-jack did not improve against Higgins' nines. Kamel took home £106,170 and four players remained with a huge chip lead for Lavallee. Sabini had the chip lead for a big part of the day but eventually she was no match for Lavallee who called her down in two important pots. Lavallee caught Sabini bluffing and that made her stack dwindle down into shoving territory. Sabini ultimately busted with sevens versus Lavallee's ace-ten suited and cashed £132,320 for her fourth place finish. With just three players remaining Higgins was the short stack, but it was Mizzi who got knocked out. Mizzi four-bet pocket eights all in versus Lavallee's ace-jack and once again the chip leader won a big showdown. Lavallee spiked a jack and Mizzi was sent to the cashier with a £161,560 payout slip in his hand. The heads-up battle was not really a battle, it was a formality. Higgins started with just six big blinds, as he was dominated 20-1. A few hands in Lavallee shoved with ace-nine and Higgins made the call with king-jack suited. The board brought no help for Higgins who cashed £242,330 for his second place finish. "So this is what it feels like to win a tournament," Lavallee said with a big smile after the final card hit the felt. Max Greenwood ran onto the set and gave his friend a big hug, and we're sure the Canadians are going to celebrate this huge victory into the wee hours of the night. Here are the final standings of the PokerStars.com EPT London High Roller final table. 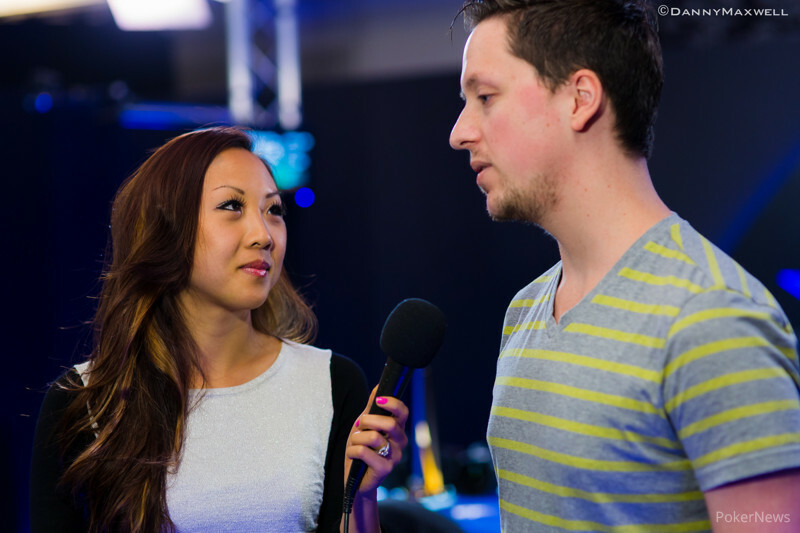 That's it for your PokerNews.com EPT London High Roller coverage and we hope to see you all again in Prague. Make sure to follow the Main Event coverage that's still going strong and any future event covered by our team. The heads-up battle between Simon Higgins and Jason Lavallee lasted only a few hands and it took the latter just one showdown to end this battle. On the final hand of play Lavallee moved all in from the button and Higgins said, "Yes," as he pushed his last chips forward. Higgins was all in for right around 400,000 chips. The board ran out and Higgins was knocked out in second place. 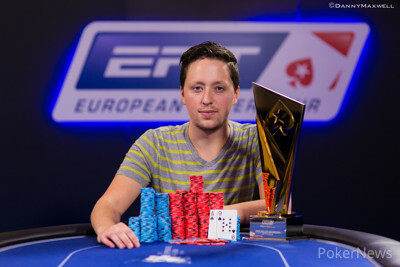 Lavallee takes home the big money, the big trophy and a very shiny Shamballa bracelet for his amazing performance in the EPT London High Roller event. Sorel Mizzi raised to 130,000 out of the small blind, Jason Lavallee three-bet to 280,000 from the big, and Mizzi moved all in for 1.3 million or so. Lavallee grabbed a small stack of chips and plopped it forward, signifying a call. The dealer rapped the table, discarded a burn card, then fanned , giving Lavallee a leading pair of jacks. The on the turn was a blank, and Mizzi was already up out of his chair and collecting his things by the time the completed the board. The Canadian will earn £161,560 for his efforts. "I owe you a few beers," Simon Higgins told Lavallee with a wide grin on his face. "Yeah," Lavallee returned, "I did a lot of work for you." Lavallee will begin heads-up play with a 20-to-1 chip advantage. After folding a few hands it was time for Simon Higgins to get a double up. Jason Lavallee raised from the button to 105,000 and Higgins moved all in from the small blind. Mizzi folded and Lavallee called for around 325,000 total. The board ran out and Higgins doubled up. There are still three players remaining in this event but both Mizzi and Higgins need a few double ups before they can start competing with Lavallee who's still the runaway chip leader. Jason Lavallee opened to 80,000 on the button, Simon Higgins moved all in for just over a million from the small blind, and Sorel Mizzi called all-in for 725,000 in the big blind. Lavallee looked back at his cards one more time, then folded. There was a ten in the window of the flop, but it was followed by a queen - . Neither the turn ( ) nor the river ( ) improved Higgins' hand, and Mizzi doubled to 1.545 million chips. Higgins fell to around 300,000, but shoved the next hand on the button and collected the blinds and antes. It’s down to the last five players in the £10k High Roller. Which players have bust out? 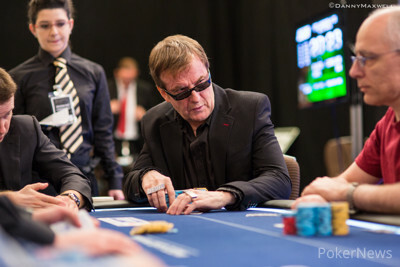 Dave “Devilfish” Ulliott? Team PokerStars Pro Luca Pagano? High stakes grinder Sorel Mizzi? EPT runner-up Jason Lavallee? Click through to the PokerStars Blog to find out more. Jason Lavallee raised from the button to 80,000 and after Simon Higgins folded it was Carla Sabini who moved all in. Lavallee asked for a count and quickly called when he heard it was around 600,000 total. The flop brought and Lavallee picked up some more outs besides the ace and the ten he already had. On the turn the hit and that meant an eight, nine, ace, ten or queen would also knock Sabini out. The river brought the and Lavallee said, "That works," as he knocked Sabini out. "I got counterfeited?" Sabini said in disbelief as she was very disappointed with being knocked out. "I would've much rather seen an ace on the river," Sabini said about the cruelty a counterfeited hand. Before exiting the area Sabini wished the other players good luck and the remaining players complimented her on this good result. Just three remain and these are the current chip counts. Simon Higgins raised to 80,000 on the button, Tamel Kamel moved all in from the small blind, and Higgins made the call. Kamel added a gutshot straight draw when the dealer fanned , but the nines held up as the turn and river bricked off , respectively. Kamel earns £106,170, while Higgins is up to 1.13 million chips.